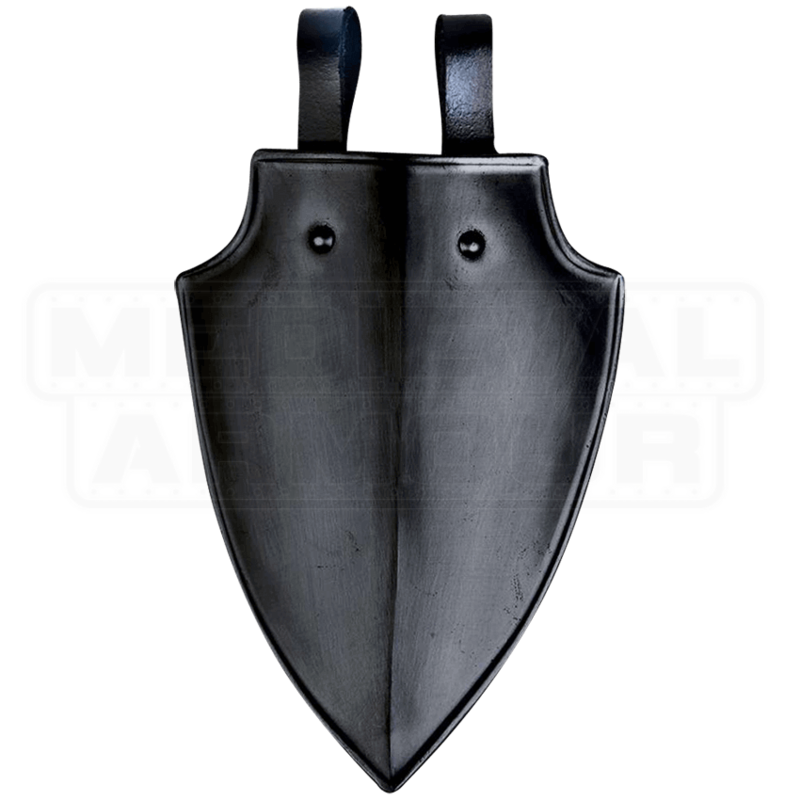 Wear the Blackened Markward Shield Tasset with your favorite LARP and medieval armour sets for extra style and protection. Made of 18 gauge blackened steel, this functional tasset features a triangular design with curved top edges for a hint of elegance. 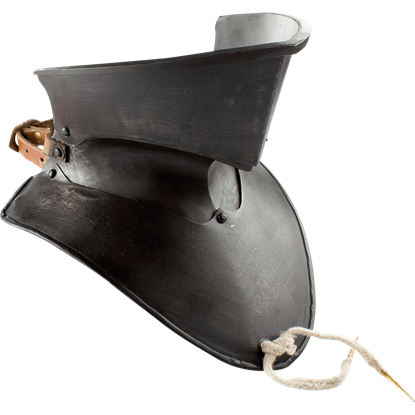 A highly versatile plate armour piece, this tasset is easily added to most belts with two leather loops fastened to its back. For the extra crafty, it can also serve as a great base for self-customization, such as decorating with personal heraldry. Call for your squire, and prepare for battle. Bandits threaten the villagers. Duty calls you to rid the realm of this filth. Put on your suit of armour, including the Epic Dark Imperial Bevor as protection for your neck and chin. 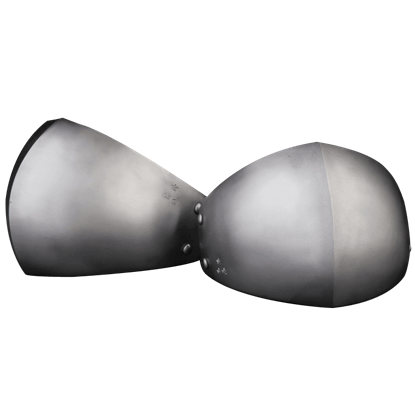 Steel armour for covering the elbows and knees started to become more common in the second half of the 13th century. 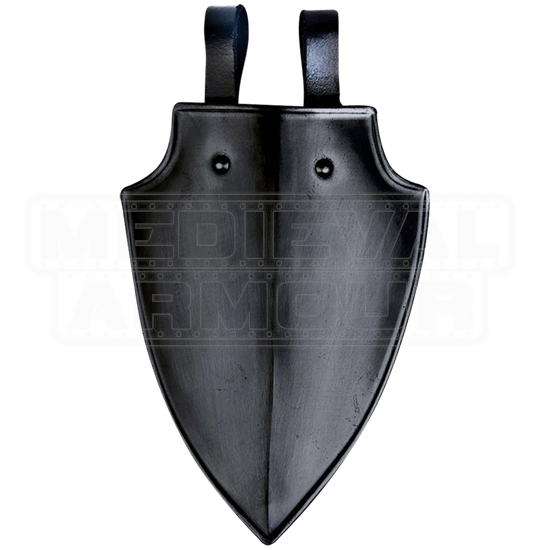 The 13th Century Steel Elbow Cops offer a classic look ideal for matching 1250-1350 armour styles.